There is nothing like the smell of fresh bread baking in the oven and even more heavenly when its taro bread! 1. Pour 1/4 cup of the water into a bowl and mix with yeast. Let sit for 5 minutes. 2. Combine the milk, sugar, and butter. Blend well with the yeast mixture. 3. Using a stand mixer with dough hook, beat in 2 cups of flour into the mixture. Mix slowly until blended then add the rest of the flour. 4. Increase speed and scrape down the sides til the dough comes together. Add salt and mix at medium speed for 10 minutes until dough is smooth and elastic. 5. Turn dough out on lightly floured surface and shape it into a ball then place in a large buttered or oiled bowl. 6. Turn dough so it is completely coated in the fat, then cover in plastic for 45 minutes to an hour, til it has doubled in size at room temperature. 7. Butter a loaf pan. 8. Deflate the dough, and turn out onto a lightly floured surface. 9. Roll out into a 9 x 12-inch rectangle. Spread taro paste around the middle of the rectangle. 10. With the short end facing you, fold the dough into thirds over the paste, creating a roll. 11. Pinch the seam closed, and pinch the ends enough so it will fit in the loaf pan. Place in the loaf pan seam side down. 12. Cover the loaves with buttered plastic wrap and allow to rise again in a warm place for 45 minutes, or until they double in size. 13. Preheat the oven to 375°F and put the rack in the center of the oven. 14. Bake for 35-45 minutes until they are honey brown. 15. Immediately turn out of pans onto a rack to cool. 1. Boil or steam the taro pieces until cooked. Taro is done when a fork easily pokes through. 2. In a food processor or blender, blend the cooked taro and 1/2 water until it becomes a puree. 3. Mix the corn starch with 2 tablespoons water to make a paste. 4. Combine paste into taro puree and pour into a saucepan. 5. 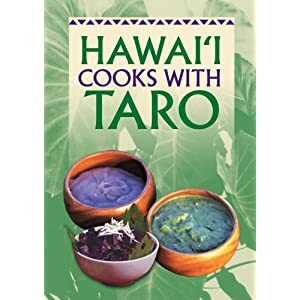 Cook taro puree and paste over low-medium heat, stirring in the sugar. Keep adding sugar until taro paste reaches desired sweetness. 6. Constantly stir the paste, and reduce the heat when the paste becomes thicker. Stir over low heat an additional 10-15 minutes. 7. Remove paste from heat and let cool.